Tank tops, Halloween tees, Radio call ins and more – Zombies, Run! As well as our limited edition Zombies, Run! Halloween T-shirt design, we’ve added a new piece of merchandise to our store. This new Zombies, Run! 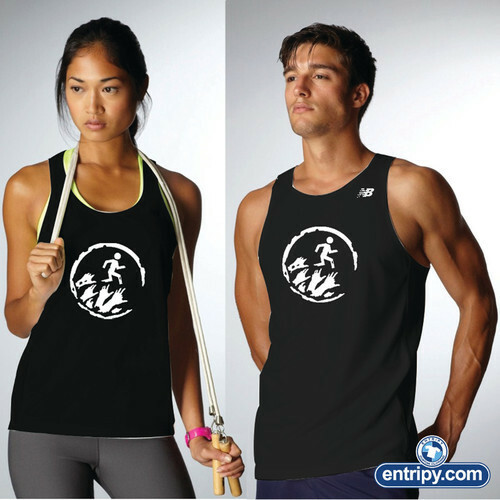 Sports Vest is available in either black or white and prominently displays the Zombies, Run! Season 2 logo. Not only that, but they are made from breathable, sweat-wicking fabric. Perfect for running! The response to the Halloween T-shirts has been excellent. Over 500 of you have ordered one and we can’t wait to see the photos of you wearing them on Halloween night! If you haven’t grabbed one yet, make sure you do so soon. They’re only available until October 3rd, after which they may never be on sale again. We also wanted to thank everyone for submitting your Radio Abel call ins. We’ve had a really wonderful response. It’s going to be really tough picking out the best ones to put in the game. We’ll be writing the surrounding dialogue for these soon and recording in the next few weeks, though it may be a wee while before they’re put in the game!